Now enjoy the non ink method to marking cards! This method is dedicated to Bicycle Brand Red backed cards. The two options of purchasing is purchasing the marked deck with directions. These cards are already marked and ready to use. Or buy the digital download and learn how to mark the deck yourself. This method is much cheaper due to being an automatic download. Marked Bicycle Deck (Non ink) LIMITED TIME ONLY 20% OFF! 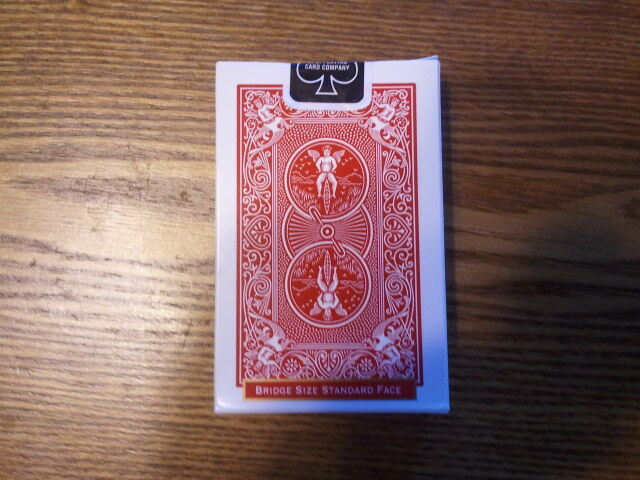 Physically marked deck of Bicycle brand cards. Deck comes ready to use and brand new. Directions are included so you can detect markings fast and easy. Enjoy free shipping for U.S. and International. If you would like to buy the downloadable directions and make your own deck of Marked Bicycle cards use the button below for purchase and you will get an automatic download. NOTE: After you pay using Paypal, please click on "return to andies9488@yahoo.com and it will send you to the download page. If you fail to hit the right button, email us and we will send you the link through email.